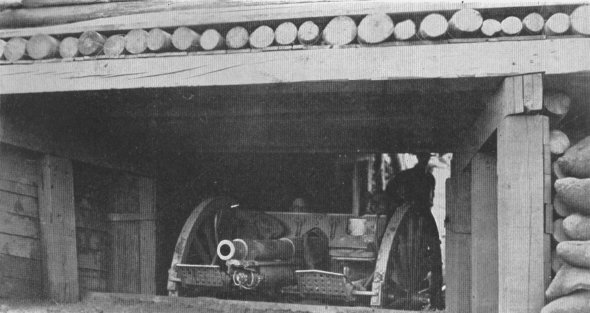 A MEAN RECEPTIONHere is a 5-inch gun battery, cleverly concealed, which was captured after doing its share of damage. Iron-souled Prussian gunners--they had such men--met the bayonet and died that way. A gunner can be seen dimly in the rear. 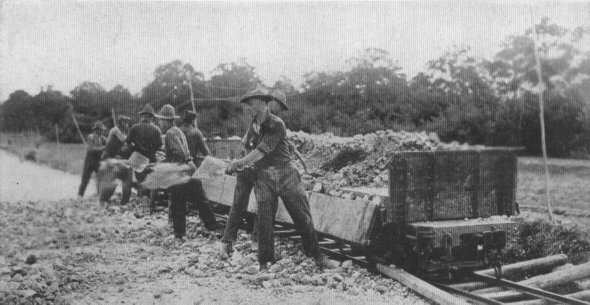 ROADS MUST BE REPAIREDCompany C, 23rd U. S. Engineers, busy unloading stone for the repair of shell-torn roads, which must be put in good condition and made ready for the counter-offensive which is being planned by the Allied high command.